As a tribute to the world championship, which Anand is currently leading with a 3-2 score, I have a new puzzle for the viewers. In this puzzel, should White simplify into an ending with a pawn advantage or does he have better? wait, the black queen could go to h7…. Exactly. If you move your king to f1, you avoid any back-rank mates. But so does black. Qh7 saves the position. Is there a better move? Are you sure it wins another pawn? Give me the variation without using a chess engine and also all te other variations if possible. This is not a difficult question but it def. needs a deep analysis. That’s the point of endgame study. To train your mind. actually i dont have an engine yet, after g4, black if forced to go to a7, then simply g x f5. if g4, then Qe5. Whats your reply? 1. Qb8+ RxQ 2. RxQ is technically winning. However, chances are black can hold the position to a draw. The difference now is that white now has a protected passed pawn! Chances are higher that white could win this position than in the previous variation. I think after 1. g4 Qe5 2. f4! is better, cause white will get a 2nd pawn .. easier! for all guests.. what’s your favorite 16 songs and 16 movies ? why 16 ? it’s your chess pieces! Do you mean Qa7? is so doesn’t black lose after 1..Qa7? 2.Qxa7 Rxa7 3.Rg8#? 1..Kf1 2.Qa+ Ke1 3.Qc8, black defends and will have time to open h6 so there will not be back rank mates anymore. I believe white should go to an ending with a pawn advantage. Thank you Bader. And you are 100% correct. I took this endgame from this exact game. Hi Khaled .. long time no read! Can anyone tell me why Anand played 7 times with white againest 5 times for Topalove? Hope to read your valuble contrebution soon. 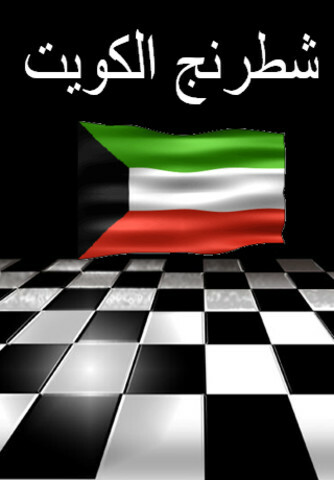 Please Khaled, tell me in details how to post chess diagrame here, I have many good puzzles to share with you. Hi Ahmad. Actually, Anand played as white 6 times. chessbase.com has full report on this issue. And as for posting diagrams, unfortunatly, Only me and Taher can post something on this site. If you would like, you can send the diagrams to my email and then I will post them. 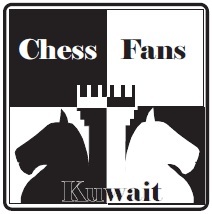 And as for posting, there is nothing new in relation to chess in Kuwait. Hopefully, we will be making a tournament soon. But I think Anand played 2games in a row with the white pieces in game 6 and 7! Anyway .. in my opinion, It was boring in the opening Compared to the middlegame and endgame. There are rumours that the team of Topalov spent 100,000 Euros to secure a 112 core computer cluster, with the latest Rybka 4 program , but Anand counter this Monster-Hardware of the opponent. can you tell me where can i get fritz 12 in the Rehab mall? ive been searching for ages. I am not sure if it’s available in Al-Rehab mall, try to call Khalaf Al-Azmi, maybe you will hear a good news! A simple question, why some Guests are not using their real names? Ahmed Hosny .. see .. so simple! i use my handlers name to avoid critics, security reason, and last but not the least by choice simple as that! i want to see something new, what is this? What is this ….Karpov doing here?? What Karpov and Kasparov talking about?? I am the world champion!! 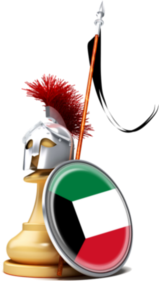 Why the Filipino club in Kuwait is not organizing an open chess tournament [rapid or even blitz] with the support of KCF? I think Magnus Carlsen is a very strong contender for the next WCC and Kasparov’s working with him .. This is web-site is dead…? hey dont use my nickname !!! the guy above is not me, he’s an imposter, jeez. Hey Alaa! of course I remember you 🙂 nice to see you here! !